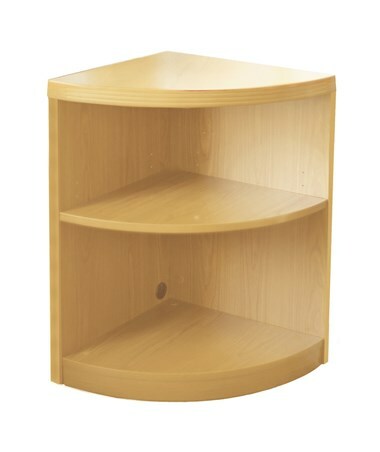 Offering a chic and practical wooden style, the Mayline Aberdeen Series Two-Shelf Quarter Round Bookcase offers performance and affordability. 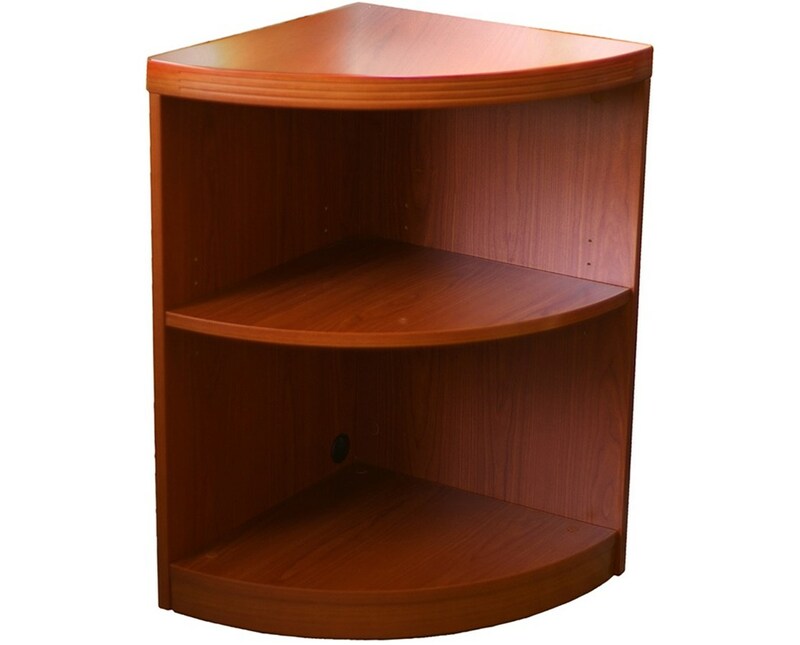 These two shelves are adjustable in 1-1/4 inch increments with a five-inch total adjustment. The shelves also support a weight capacity of 25 pounds per shelf. Also, it comes with a corner mouse holes for vertical cable management. This quarter round bookcase features a back panel for wall access. 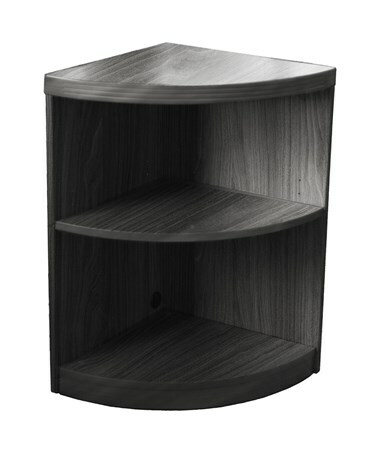 As an extra feature, it comes in four colors - Maple, Gray Steel, Cherry, and Mocha.